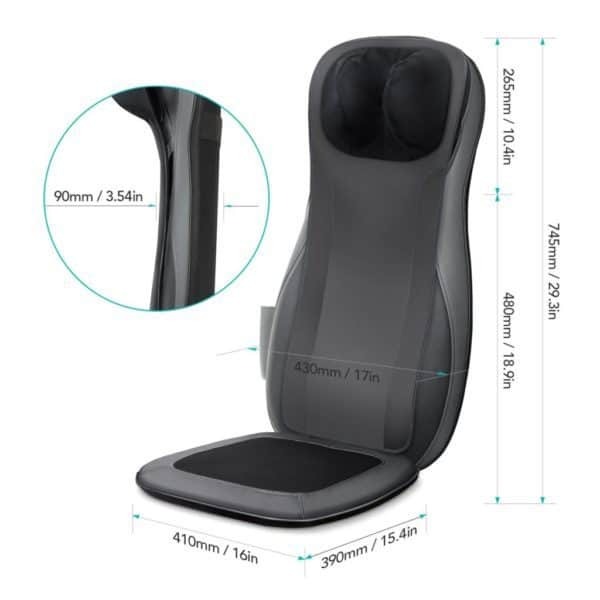 What makes the Niapo Shiatsu one of the best back massagers available? Let’s begin with the major features. 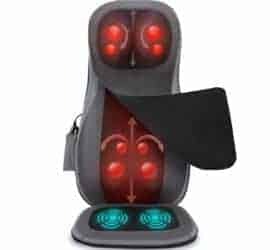 The rotating and kneading massage rollers are what gives this back massager its Shiatsu properties. The kneading functions imitate real ‘human finger pressure’ massage. This deep kneading and rolling is intense, but is excellent to relieve tension and help ease stress related fatigue. 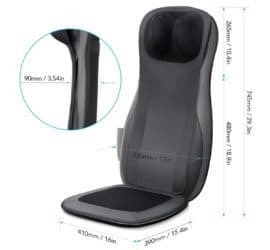 The Shiatsu function is perfect for use on the neck, shoulder and back. 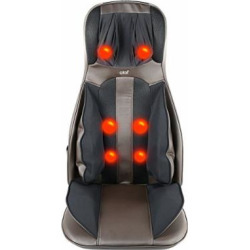 This is one of the major benefits and a key reason for the Naipo being named as one of our best back massagers. 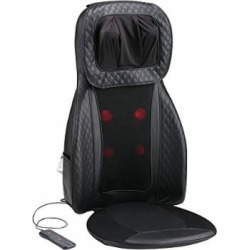 It features 8 deep kneading Shiatsu massage nodes. 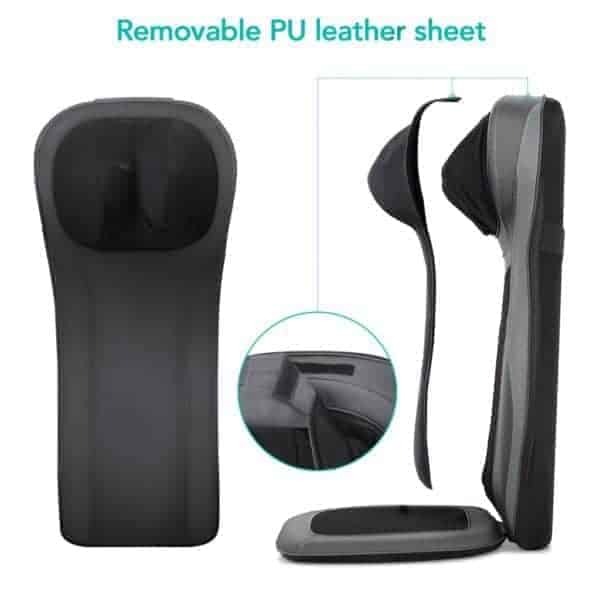 This makes it perfect for soothing a tired body and relieving all muscle tightness. The 8 Massage nodes are fully adjustable and can be moved up and down to cater for individual heights between 1.6m and 1.8m. 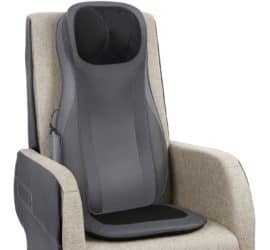 You get an optional heat function. 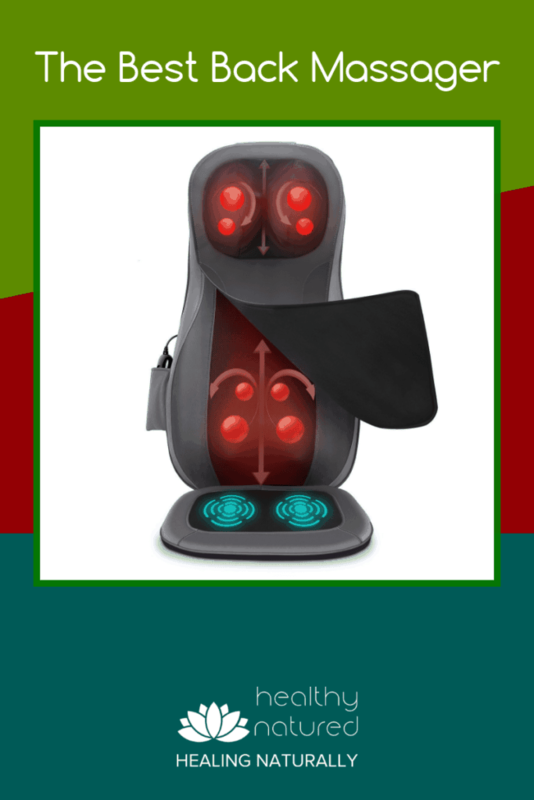 This provides the warmth needed to truly stretch out and loosen muscles and tendons. The heat helps you to unwind after a long and stressful day. 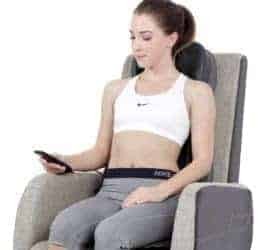 Simply sit down on the massage chair cushion, then activate the vibration massage mode and enjoy a truly invigorating and therapeutic massage treatment to the upper hip or thighs. 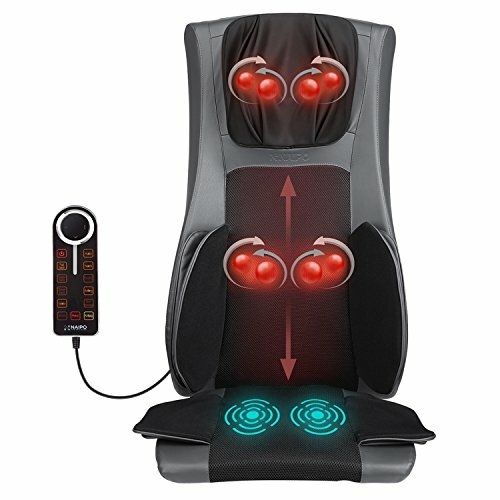 There are three different vibration level settings for you to choose from. 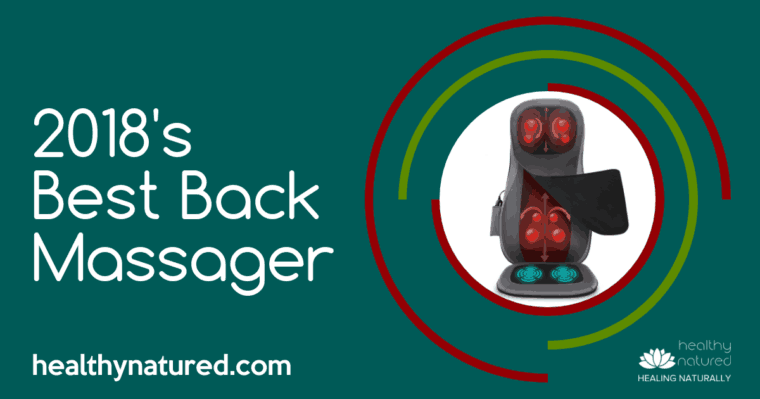 The best back massagers ensure you can enjoy your massage exactly the way you like it! 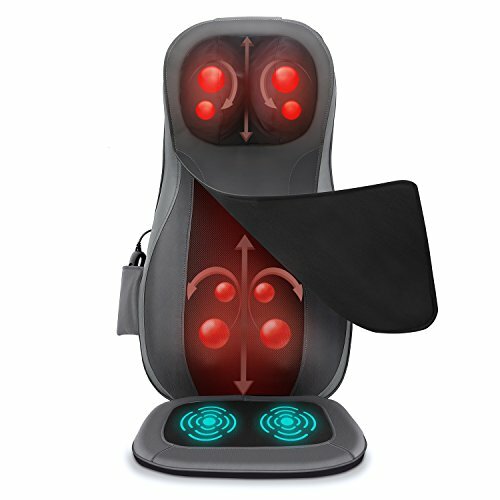 Enjoy the exact massage you desire, just use the hand-held control unit to fix the setting. 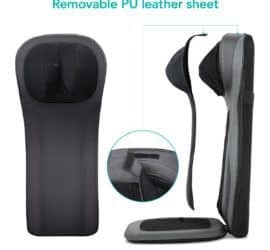 With the hand held control you can change the massage zones, you can pin-point the shiatsu and kneading massage exactly as you like it and you can integrate all of this with the optional heat function. 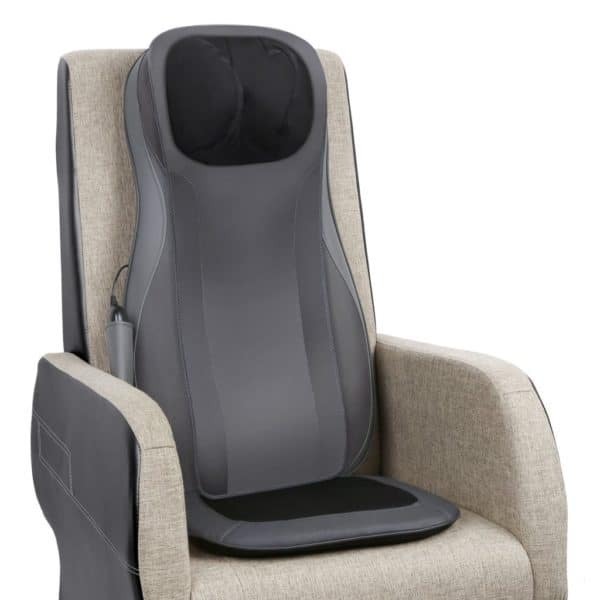 Come home, sit down and enjoy a wonderful massage for the neck and back. 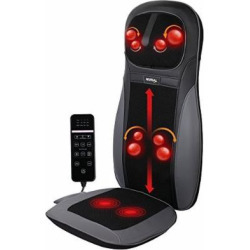 How often can you have a therapeutic massage while watching TV or relaxing after a hard day at work. Includes AC adapter and Car Adapter, so let the Naipo Shiatsu back massager help relieve stiff and sore muscles during and after a long trip. Our sedentary office lifestyle is one of the major negative factors influencing your health. 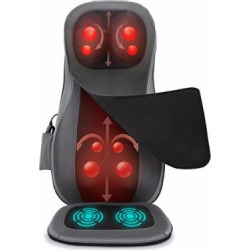 Use the massager to keep the blood flowing and benefit from the stress relief this back massager provides. 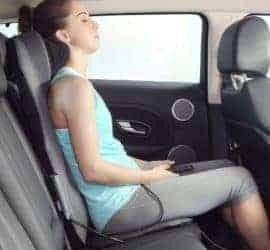 Just using the Naipo Shiatsu for 15 minutes a day will enhance your holistic well-being. 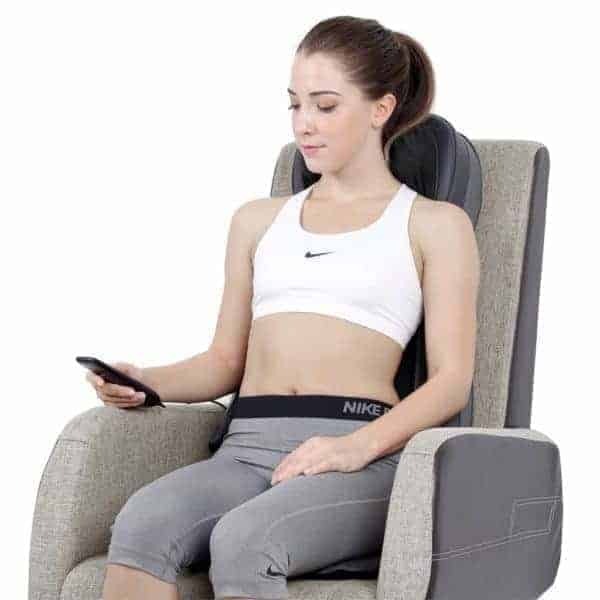 With more and more people paying attention to their health and improving their personal well-being it is no surprise that the popularity of Massage is growing. 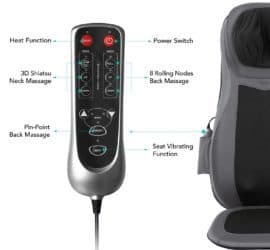 Targeting energy meridians and working on the principles of Shiatsu makes the Naipo one of the very best back massagers available. 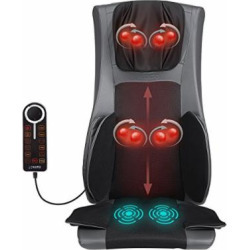 The massager has innovative design, it is exceptionally relaxing, and is holistically therapeutic. 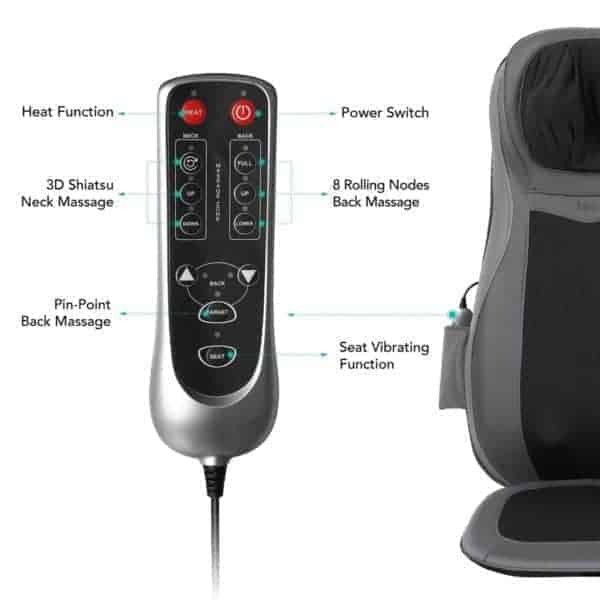 There are many massagers available on the market but very few come close to matching the features and performance of the Naipo Neck and Back Shiatsu Massager. Requires re positioning for those under 5' 6"